My name is Jay William and I’m new to the community. I thought the best way to meet other vacation rental owners and professionals would be to contribute. I hope you enjoy the tips. If you have any questions or comments please join in! I have been writing alot about vacation rental marketing and I wanted to share some of my findings with owners. I would hope to share this rental marketing information with you so you’ll be able to beef up your rental advertising efforts and lose less booking opportunities. I recently read a blog about marketing vacation rentals online and I noticed “pros” were showing owners how to improve their vacation rental listing titles and conversion by revamping their ad title for them. The problem I quickly noticed was the titles the ‘pros” recreated for the owners weren’t any better than the owners titles, they included details about the property in the title that have been proven to deter travelers from clicking on rental ads. 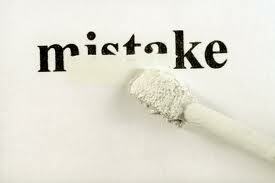 Mistake # 1. Vacation rental marketing ”pros” are teaching owners it’s OK to post the amount of bedrooms in their vacation rental listings ad title. The ad title is the most important part of your vacation rental listing. It affects your listings optimization and visibility in search engines but ad titles are also the most important element of your listing because if your ad title is weak travelers will not click and pass your listing right by. 1st. you will get very little search engine traffic by using “4 bedrooms” in your add titls. 2nd. You narrow down your interested audience. These type of details can be found in the ad itself once they’ve clicked on your advertisement. You do want them to click on your ad don’t you? Of course you do if the renter never opens your ad then you can’t sell them on your property. Don’t include information details in the title of your vacation rental listing ad. This takes up valuable space in your title for much more important content that can be used to help your listings S.E.O. AND The amount of travelers that actually click on your listing and book with you! Mistake # 2. Don’t include words like condo or townhouse in your ad title. A traveler may have misconceptions about your vacation rental because of the lack of information they have about your property. Give your property a much more broader market appeal don’t narrow down your market with your ad titles. A traveler may be interested in renting a vacation home until, well they see the awesome rental property you own. The features of your property may be all they need and want! But, you’ll never know if they never see it! If you would like potential travelers to get all the information about your vacation rental before they eliminate you as an option, then don’t use information details in the title. It can be a turn off for certain guests. Give your vacation rental a fair chance to compete by drawing travelers into your ad to find out more about your property. This entry was posted in Vacation Rental Marketing and tagged free vacation rental advertising, free vacation rental marketing, holiday home marketing, holiday rental advertising, holiday rental promotion, marketing for property management, marketing properties online, rental advertising, va, vacation home marketing, vacation rental blogs, vacation rental company, vacation rental expert, vacation rental marketing, vacation rental marketing blog, vacation rental marketing expert, vacation rental marketing plan, vacation rental owner, vacation rentals marketing, villa advertising. Bookmark the permalink.